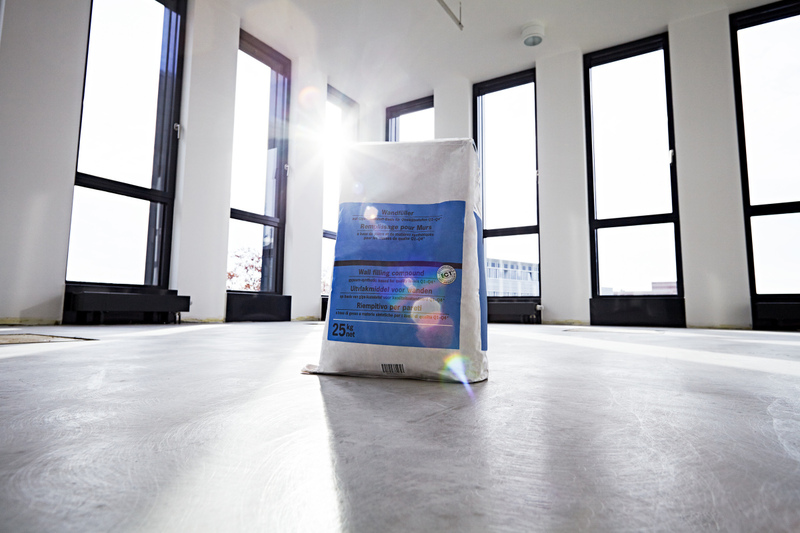 Whether it be for cement, mortar or plaster – efficient and sustainable packing materials are playing an increasingly important role in the packaging of building materials. 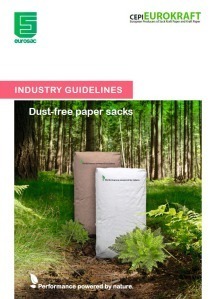 Paper sacks offer convincing solutions because of their environmental compatibility and efficiency. Thanks to continuous development by paper sack producers, manufacturers of building materials profit from increased efficiency in product protection, material usage and interesting marketing opportunities. With regards to sustainability, paper sacks have much to offer. The kraft paper used to manufacture paper sacks is made exclusively from renewable resources acquired from sustainably-managed forests. Beyond this, the paper sack industry pays close attention to environmentally-friendly and energy-efficient manufacturing over the complete production cycle from “cradle to gate”. 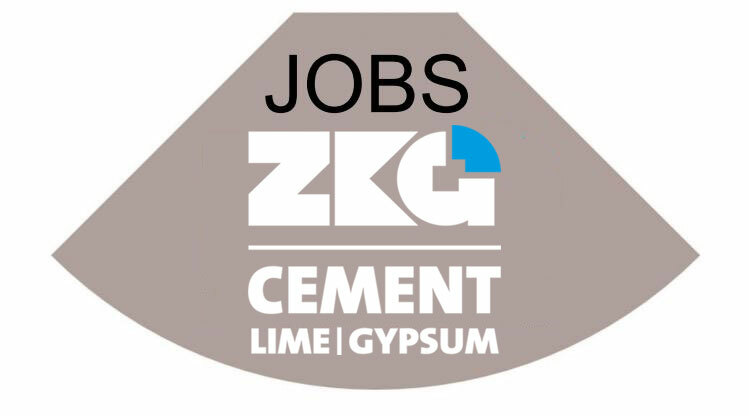 The CO2 emissions of an average paper sack for cement is only 71g CO2 equivalents (CDE). In comparison: an average form-fill seal polyethylene (FFS PE) sack uses 192 g, or 2.5 times more CDE.2 The natural, long cellulose fibres used in their manufacture not only mean that paper sacks are biodegradable but are also recyclable and very tear-resistant. Paper fibres can be recycled up to eight times – and not only in theory. Many years ago, GemPSI built up recycling processes and infrastructure so that paper sack recycling could also be put into practice. With the help of the recycling systems founded by paper sack manufacturers, around a half million t of emptied paper sacks were recycled in Germany over the past 25 years. 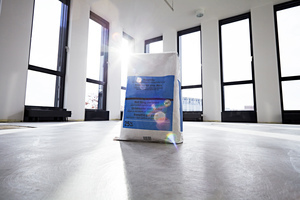 The Fraunhofer Institute Umsicht calculated in a study that the recycling of paper sacks saved 0.24 t CO2 equivalents (CDE) per ton of paper sacks. This corresponds to an annual savings equivalent of ca. 17 million km of car travel or the CO2 absorption of 300 ha of forest3. 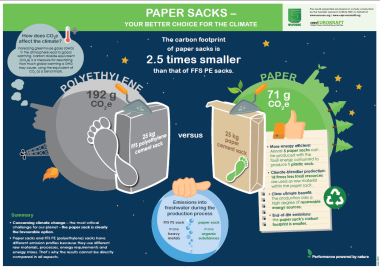 In this way, paper sacks make a contribution to climate protection. Also, the average paper sack weighs about 25 % less today than it did 15 years ago. The reason for this is the considerable optimisation of paper strength, which saves materials and costs.